Steal a Deal While Doing Good! MAITRI is a nonprofit organization based in the San Francisco Bay Area, which primarily helps families from South Asia (Bangladesh, India, Nepal, Pakistan, Sri Lanka among others) facing domestic violence, emotional abuse, cultural alienation, human trafficking or family conflict. 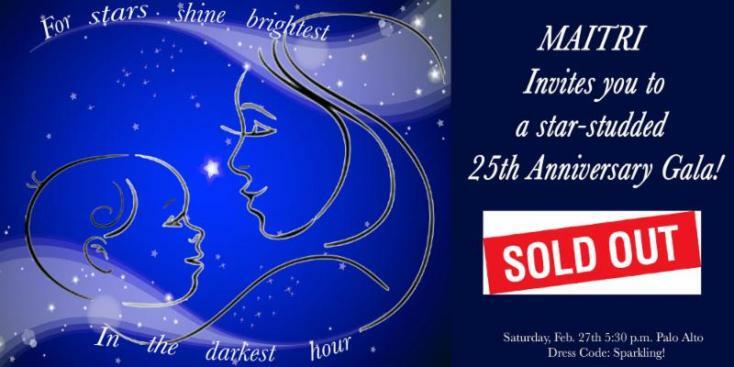 MAITRI celebrates its 25th Anniversary of making a difference in the Bay Area community. The organization request participants to join their Online Auction associated with the Silver Jubilee Gala. Every dollar goes towards positively enriching the lives of someone affected by domestic abuse or violence.